We have a wide range of conservatory styles available in Southampton, Hampshire and the local area. Create bespoke conservatories for your home which are individually crafted to your own needs. Our installation team can install conservatories in Southampton, the surrounding towns, as well as the whole of Hampshire. You can choose from a huge selection of conservatory styles and our expert team will be able to advise and guide you on the best options for your house. 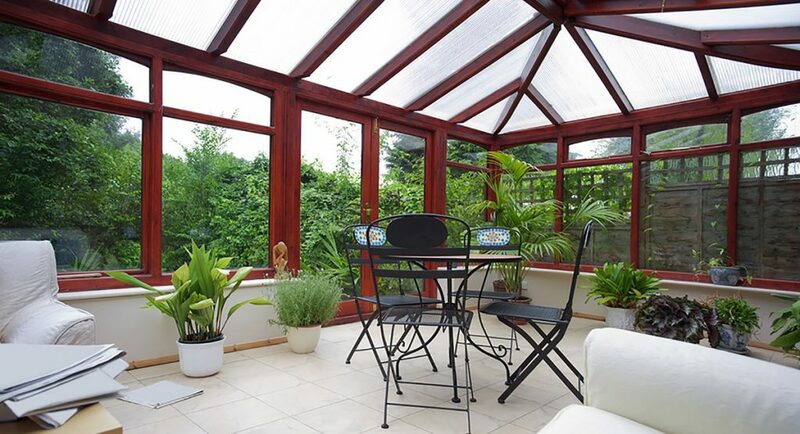 Whether you need additional space adding to your property, a conservatory room where you can get the best from your garden, or just a quiet place to relax – we are the number 1 company to talk to. The personalisation of a conservatory is made simple due to the advanced technology available in the market. It lets you choose from a wide variety of colours and materials to suit your home and the surroundings. Whether you want something subtle in earthy tones, or something that really stands out we can supply and install to the highest standards. Edwardian conservatories provide a striking square or rectangular design that allows you to make the most of your available space. A fantastic space that can be used as a dining room, an extra living room or just as a room to relax in and overlook your garden. Whatever you choose, we can help you achieve your goals. 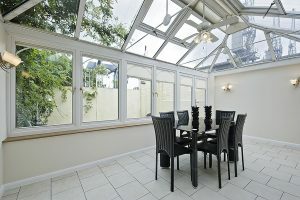 Lean-to conservatories are a very popular choice in Southampton and a highly cost effective conservatory. They can be designed to fit even into small spaces and thanks to their low roof they are a great idea for bungalows with height restrictions. Why not consider a lean-to with a wall of bi-fold doors – perfect for creating space. Gable, or gable-end conservatories contain a high-angled roof designed to maximise light and space. You could incorporate a ‘rising sun’ detail to create a stylish and charming gable conservatory. A fantastic option if you have a larger home and garden in Southampton as you can really make the most of the height and additional space. 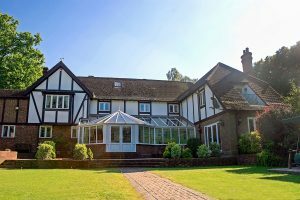 P-shaped conservatories give you the best of both worlds with a combination of a lean-to and a Victorian conservatory you can have two conservatories for the price of one. A superb way of creating a multi-functional space – use the rounded end as a playroom for the children whilst the adults enjoy a sophisticate lounge at the other. We are very proud of our quality of work and the customer testimonials that we receive. If you decide to choose us for your conservatory work then you can be assured of a long-lasting and good-looking extension to your home. Your new conservatory will be designed, built, and maintained to your own personal requirements plus will be in excess of the BS6399 British Safety Standards regulations. This includes an installation built to withstand the worst of the British weather plus secure locking technology and strong materials. 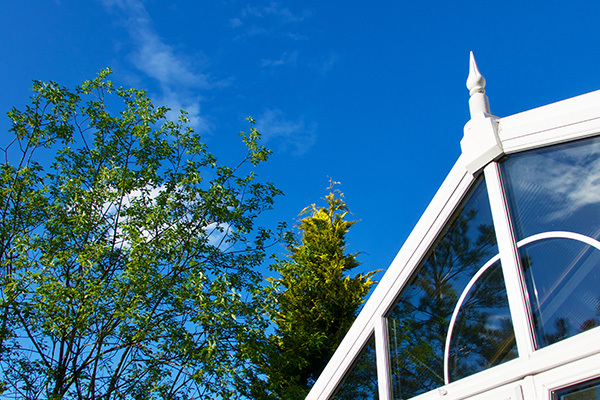 Building conservatories in Southampton to the highest in British Safety Standards is very important to us because we want you to be left with a job that’s as secure as possible against burglars as well as adverse weather conditions. We also supply exceptional double glazing and fantastic windows which can complement your new conservatory very well so please don’t forget to ask about those too. Please note: Many households in Southampton will require planning permission before a conservatory can be built onto the property. 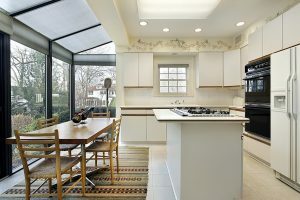 For guidance on planning permission for conservatories please visit the UK Government website which offers guidance on the matter. Need Your UPVC Windows Repaired? We are also available to handle repair and maintenance jobs. Talk to us about double glazing repairs in Southampton. We are also available to come out at short notice if you have an emergency that needs swift attention – if this sounds like, please contact us.